The purpose of Facing the Facts is to help people recognize the difference between fact and fiction. JW facts, Mormon facts, Seventh-day Adventist facts, and Muslim facts can be used to determine if ones claim of religious authority is valid. Each group mentioned above claims that their leaders, anointed ones, prophets, spiritual leaders, or governing body members are God's mouth-piece, spokesperson, prophet, or prophetess in these latter days. 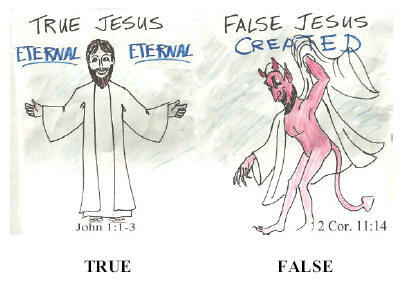 The true Jesus of the Bible had no beginning and no end; He is the eternal Son of God. Only this Jesus can save you! JW Hotline: 770-932-3806 -- 24hr. recorded message.